The Best Monogram Ideas for Custom Monograms On Wedding Invitations and Throughout Your Wedding Branding. What’s in a name? Let us tell you! Your marriage marks your transformation from single to couple. It’s the moment your new identity is defined and your new family is formed. For this reason people throughout history have represented this new identity with a visual symbol known as the monogram also known as the wedding logo. Even today, this beautiful tradition is wildly popular among newlywed couples and has become a way of branding your wedding, starting with custom monogrammed invitations. We are so excited to share some of our favorite monogram ideas and how we designed and used them throughout your wedding branding. The traditional monogram originally consisted of the Bride’s first initial and married last initial of the couple and the Groom’s first initial. These letters were often interlocked in a decorative manner and engraved on the family silver or embroidered on the family linens to mark possession of these valuable pieces. Today, couples often opt for a 2 letter monogram, usually the 2 first initials of their names. We see couples use these on all printed materials and as part of the decor to jazz up the dance floor, lighting & decor of their wedding celebrations. We love creating custom monograms and crests for our clients and it’s one of our most popular services. So, here are our top three favorite designs of all time! This Brussels based couple started with their Save-The-Date. They wanted an a modern, elegant custom save-the-design for their weeklong destination wedding festivities. They wanted to honor each of their guests who would be traveling from across the world to celebrate with them. Because they were sending the Save-The-Date over 1 year in advance, they wanted something that had the formal feel of an invitation and their hope was that this would encourage guests to make their travel plans and request holiday time if needed. We suggested our Journey design in champagne gold foil with blush and ivory details with custom monogrammed cards. In order to to make it extra special, our wedding monogram ideas were critical to the design because we wanted to create something they could use on the rest of their stationery. We designed was a beautiful interlocking monogram with embossing on the blush envelopes and foil pressed on the ticket style custom monogrammed invitations. The Journey Save The Date with custom monogram design. The groom, Jonathan, contacted us looking for an invitation suite for this amazing beach destination wedding. Rather than use the typical beach wedding graphic elements like anchors, nautical ropes and seaside watercolor. Instead, we were going for unique sophistication with a design inspired by the texture and qualities of water and the culture of the beach wedding. We created one of our favorite crest / monogram ideas for Nikki & Vivek who were married in Chicago. The bride contacted us because she wanted a custom family crest created. She wanted to use the crest design throughout her luxurious Indian Wedding. In addition, Nikki wanted to honor the couple’s family with a virtual heirloom. Her idea for her monogram and crest was a piece that she and her family would treasure forever. So, we created a beautiful crest inspired by traditional cultural motifs. We also incorporated personal touches like the couple’s initials and their parents initials as well as Nikki’s personal motto. In addition, we even incorporated paw prints to represent her beloved fur-baby. The couple used the final design on wedding invitations, dance floor and throughout all elements of the wedding. Nikki’s beau, Vivek even had the crest design engraved on the box for a 1st anniversary gift! We loved this thoughtful idea making the gift extra special! With this amazing New England based Indian dream couple, we were so excited to design a letterpress wedding invitation that incorporated a subtle and refined beauty with a contemporary format. The final layered invitation suite was held together with a buttery silk hand-dyed wrap in an aquamarine color and finished with a square medallion with their monogram. Neha wanted to incorporate her faith into the wedding stationery. However, she wanted it to be subtle yet clear. Our custom monogram idea was printed in champagne gold foil on the medallion and included a graphic Ganesh along with the two initials of the bride and groom. We were introduced to this incredible couple by Sonal Shah (@sjsevents) , celebrity wedding planner and author. Darshini and Neel simply exude light and love and happiness. So, we were beyond thrilled to design their engagement invitations and monogram. 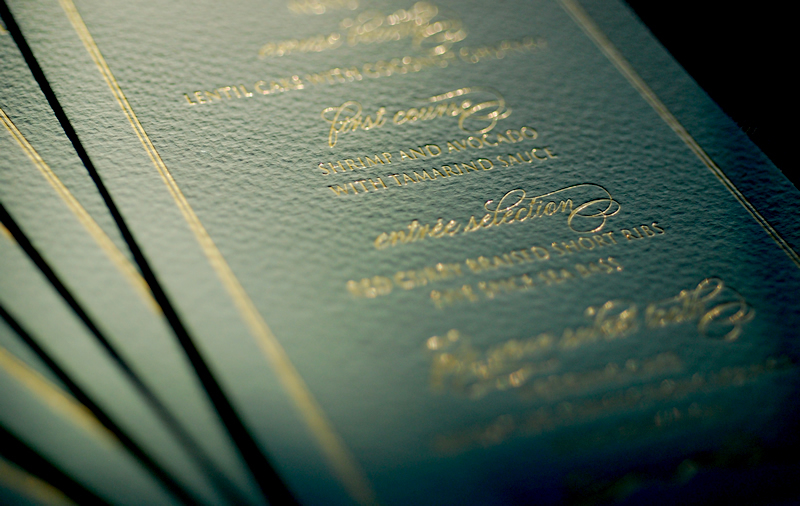 They wanted a contemporary invitation that truly made a splash. And while their wedding was still a few years away, they wanted to be able to tie together the design of to their wedding stationery as well. We designed a gold and ivory acrylic invitation that fit the bill perfectly. For their monogram idea, we wanted to create an extremely flexible piece that combined a crest and an interlocking monogram from their initials. We combined classic contemporary lettering with a regal embellished frame to create a timeless and versatile design. And it worked! Now as we prepare to create their wedding day stationery, we will be applying all their beautiful monogram to each and every piece! There are dozens of additional examples of beautiful monograms on our Instagram. What is the difference between a “monogram”, a “cipher”, a “crest” and also a “logo”? In today’s wedding culture, people generally refer to all 3 types of monograms as “monogram” or “logo”. Technically, a monogram refers to 2 visually interlocking letters. A cipher is either a singular letter or refers non-interlocking letters. On the other hand, a crest includes symbolic illustrations, decoration, framing or background elements for your cipher or monogram. A “logo” is a very modern term that is used interchangeably with the word “monogram”, usually in the context of “wedding branding”. 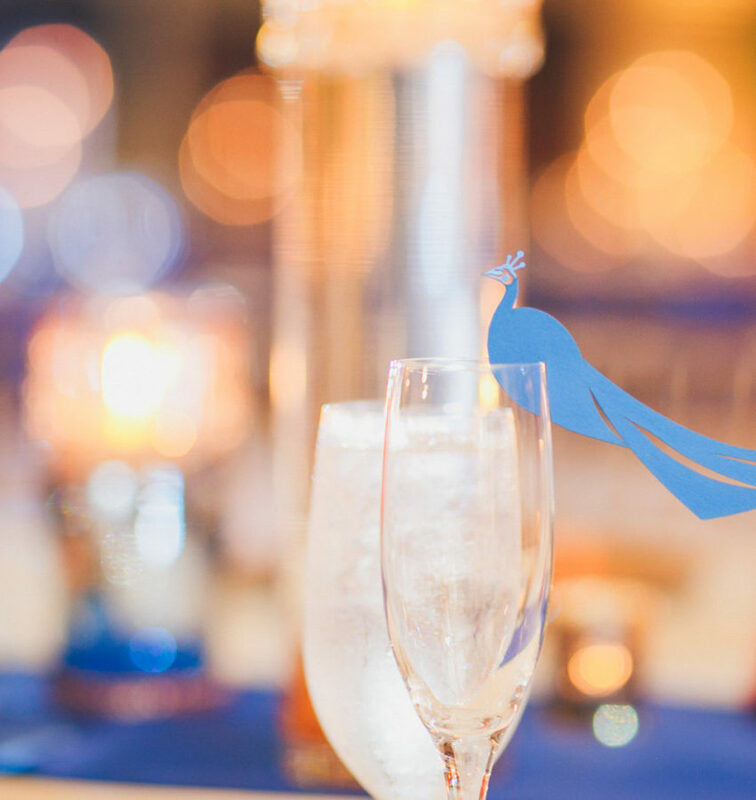 Wedding branding is a newer concept in wedding planning and refers to creating a cohesive visual look to all parts, printed elements and décor of the wedding. How many letters should I choose? The etiquette behind the classic monogram, cipher or crest was set based on the traditions of those bygone times. Now a days, you might use a two-letter monogram of your interlocking first initials or another option. You may choose three-letter monograms with your first initials and the initial of your shared surname in the middle. You can also use solely a single initial to represent your shared surname as a married couple. We’ve also had some couples choose to include a ampersand “&” or a more modern “+” symbol between their initials. Also, in rare instances, you might consider a 4-letter monogram, incorporating the first and last initials of both of their names. From a design standpoint, we find it’s usually best to use the first 2 letters of a couple’s name. This is the most popular current trend. If the letter’s do not fit together visually, we will sometimes include an ampersand. Adding additional decorative or symbolic elements is usually just a matter of preference and scope. How can you get a custom designed monogram by Atelier Azure? It’s very simple, really. Just ask. 🙂 Our designers can simply include your initials in a matching font (like a cipher) or actually create an interlocking monogram, logo or crest for you. If you commission a monogram design, the high-resolution file for your monogram is yours to use as you wish. We have seen our customers use their monograms on cakes, dance floors, photo booth backdrops and throughout the décor of their weddings. Your wedding stationery and invitation suite can also be designed to include your custom monogram. Our design repritoire includes programs, gift tags, gift cards, place cards, welcome bags and boxes and all sorts of other paper pretties! Contact us design@helloazure.com to learn more.